Established in 2013, CEX.IO is a popular cryptocurrency exchange. CEX.IO affiliate program is considered a very fair and profitable one. You can read more about the exchange here. You share your personal referral link to as many people as you can. They enter the site using your link and complete the registration. CEX.IO pays you 30% Commission per sale on all trades made by your refferals, including future purchases. After you join click on the “Generate Link” button. This will generate your initial affiliate link. Than you can choose a promo tool for sharing the referral link: banners to place on your website and a landing page, where you want to direct the users. After you start directing users to the site, you can track your statistics using a very simple but comprehensive back office tool. On the affiliate section of the site you can choose daily or monthly stats and track a number of variables such as visits, registrations, deposits and fees. Your fees are added automatically once a day, for the sum earned 30 days ago. All fees are recalculated to USD equivalent. you can withdraw your funds directly to your payment card (VISA or MasterCard) or via bank transfer, according to withdrawal procedures. CEX.IO does not allow to create sub-accounts and become a self-referral. You can not promote your affiliate link using unsolicited bulk mail/Spam. You can not bid on branded keywords such as “cex.io”, “cex”, “cexio”, or any misspellings on engines. 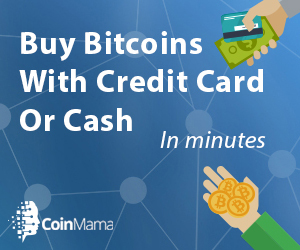 Also, if you are interested in more Bitcoin affiliate programs, try our Bitcoin affiliate and refferal programs full guide. Note it’s not safe to leave large sums of money on any cryptocurrency exchange. That means you are leaving your money in someone else’s wallet. The best choice is a hardware wallet such as Trezor or Ledger. Click here to read a full review of Ledger Nano S Bitcoin wallet.